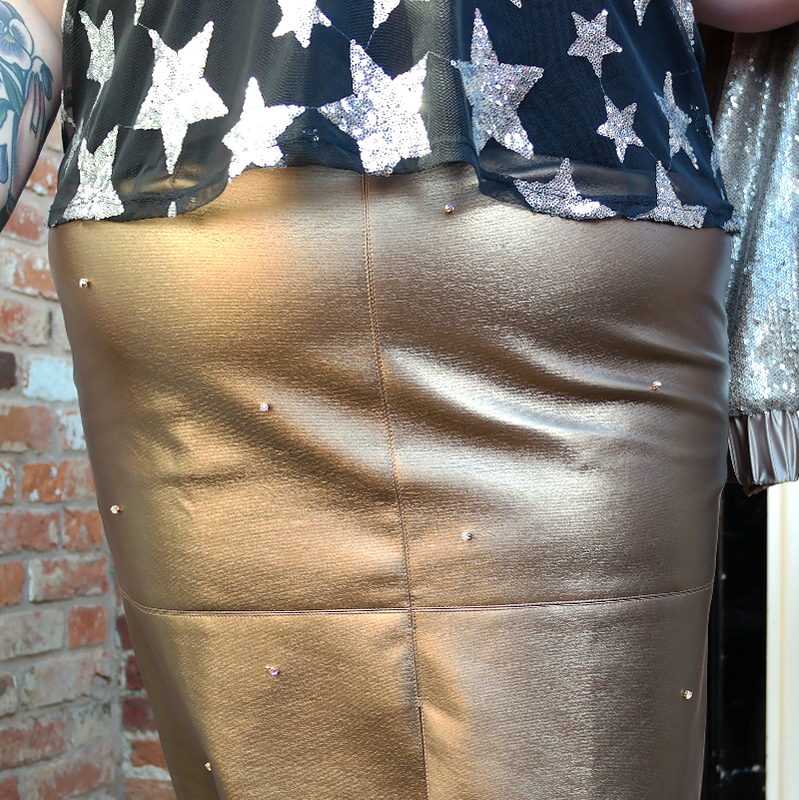 ELVI x PRIMA // THE BRONZE PLEATHER PENCIL SKIRT - Sugar, Darling? Guys, can you believe that I'm smiling in two out of three of these photos? I think the sun we had drove me a little crazy and I lost my RBF for a few days huh? Maybe it's that, but then maybe it's because this outfit is just so sparkly and joyful! 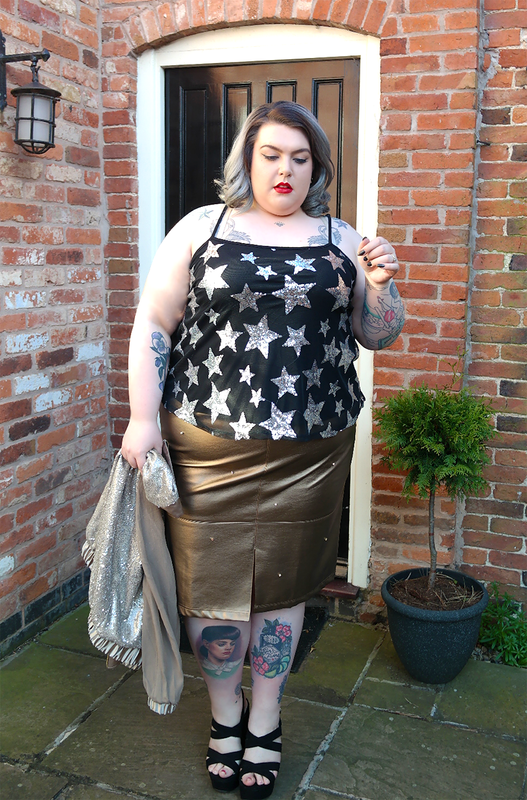 The top and shoesies are old ones that have featured in previous posts and I'm sure you recognise the amazing jacket from my last outfit post. 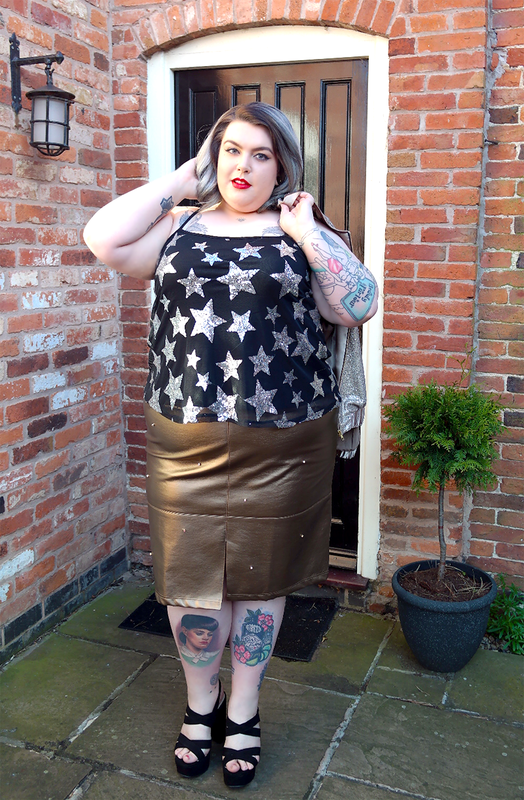 This gorgeous Bronze Pleather Pencil Skirt (£75.00*) is from the same ELVI x Prima collection and is just too lovely for words. I'm sure we've all seen a fair few faux leather pencil skirts in our time but let me tell you the quality of this please is pure luxe. The faux leather itself is thick and has only the smallest bit of stretch so it fits to your body like a dream but doesn't feel flimsy or like it will go baggy after a little while as can happen with some stretch PU fabrics. The beautiful bronze colour is rich and metallic and easy to pair with lots of colours, while the little addition of rhinestones subtly dotted across the front is done so classily. I got my normal bottoms size in this skirt and like I said earlier it fits to your shape like a good pencil skirt should. This means it will be snug on your tummy if you have one which doesn't bother me - in fact I quite like it! I was unsure of the front slit at first not knowing if it would feel a bit exposed but when it's on it's at just the right hight to feel fine and aid walking without hobbling! In all honesty this is more of a standing only piece for me simply because the slit goes a little too high for my liking when I sit down, but that's my personal preference as I don't tend to feel comfortable getting my thighs out. Then again if I was wearing tights I don't think it would worry me. ELVI x Prima piece you could be in with the chance of winning £100! 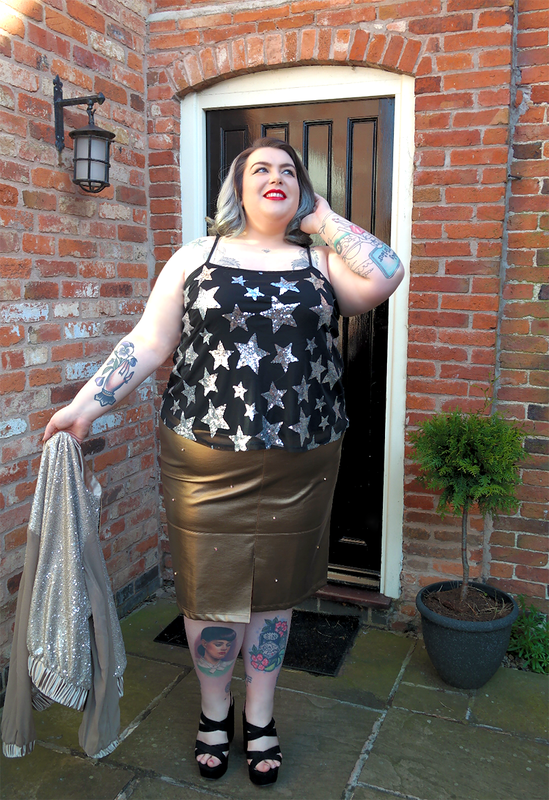 All you have to do is Instagram a photo of you in your lovely ExP purchase using the hashtag #MyELVIxPrima and tagging @elviclothing and also share it to your Facebook and Twitter to be in with a chance of winning! The competition runs until the end of May so you've got lots of time to get a great photo to enter - more details can be found here!